Life of Edgar Allen Poe Research Papers discuss an order placed for an autobiography of the writer along with opinions about his writings and what made him select his themes. Page 1: Life of Person-Author(Biography): Personal Info-Family Info-Do not talk about his writings on the 1st page! Page 2-3: His works-writings(write about them; Why he wrote them?? Did his works reflect on his personal life or family? Was there a specific speech pattern(writing) in his works, such as Victorial? What encouraged the author to select a theme(s) in his writings(why pick themes?) What happened to his writings today-Are they popular today?? What does the author think about his own writings? Need at least 10 different citations from different sources-You can use whatever sources you would like. But make sure they are reliable and resourceful-(Online, books, journal articles, encyclopedias online, etc. )Use as many sources as you want to complete the paper(remember to use in MLA format! )-You Need citations in paper if you use quotes, stats, word for word or another author's opinions! Critics claim there was more than one side to Edgar Allen Poe. Poe is remembered for introducing the genre of mystery writing and for creating works that inspire terror, awe, and disbelief. He is most often remembered for works that uncover the darkest of all human agendas. At the same time, Poe displayed a fascination for the lighter aspects of human emotion. While his short stories explore the dark side of human nature many of his poems center on themes of love, joy, beauty, and happiness. Edgar Allan Poe was born in 1809 in Boston, Massachusetts. Poe’s father abandoned the family when he was very young. Both of his parents were actors. Poe traveled from place to place with his mother until her death in 1811. After his mother’s death, Poe was placed in the home of John Allan, a wealthy merchant. His two siblings were placed in different homes. Poe did not enjoy a close relationship with his foster father. Later, Allen disowned Poe after he was kicked out of school for gambling debts. Poe married in 1836 but his wife died ten years later. Despite his success he was never able to rise above his feelings of depression and his bouts with madness. He died on October 7, 1849 following a binge-drinking event. Nature of Human Perception Research Papers explore the different debates about the impact and influence of perception. Gothic Literature Gothic Literature research papers examine the genre that generally contains some element of horror or the supernatural. The Cask of Amontillado - Montresor, the narrator of Edgar Allan Poe's “The Cask of Amontillado” certainly would have agreed with that sentiment. The Narrative of Arthur Gordon Pym - The Narrative of Arthur Gordon Pym Research Papers closely reveals the similarities between Pym’s adventure and the experiences of American pioneers settling the West. The Pit and the Pendulum - Research papers on The Pit and the Pendulum point out Edgar Allan Poe immediately grabs the reader's attention by announcing that he is sentenced to death. The Fall of the House of Usher - Edgar Allan Poe is a writer that nearly every American is familiar with, encountering his work as adolescents, and being reminded of it every Halloween. 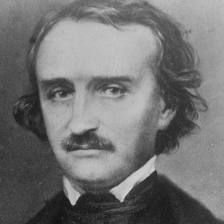 Literary Criticisms - In America, even Edgar Allan Poe was known for literary criticism in his career, including his non-fiction work The Poetic Principle. Order a research paper on literary criticisms from Paper Masters. Paper Masters writes custom research papers on Life of Edgar Allen Poe and discuss an order placed for an autobiography of the writer along with opinions about his writings and what made him select his themes.